Accessory connector for the Victron Bluesmart IP65 range of chargers. This connector features a fused 12V cigar type plug, allowing you to charge your battery directly through a cigar/power socket in your vehicle. The plug is universal, meaning it can be used in either a standard cigar lighter power socket or in a DIN ISO 1465 (Hella) socket by removing the red adaptor at the end of the plug. 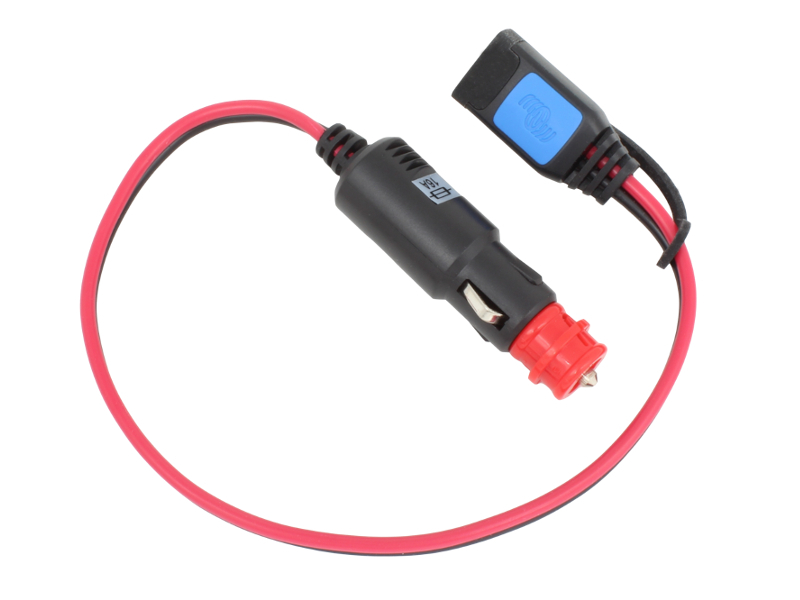 This connector is useful if access to your battery is restricted or if trailing cables out from beneath your bonnet is undesirable. Plug is fitted with an internal 15A glass fuse. Important: Do not connect to car sockets that are powered by an electronic converter.